Welcoming everyone to the conference was Algonquin Elder Verna McGregor, who noted that Ottawa and the surrounding area remains her people’s unceded traditional territory. We may have heard this information before, but it needs to be said as often as possible until it is resolved justly. 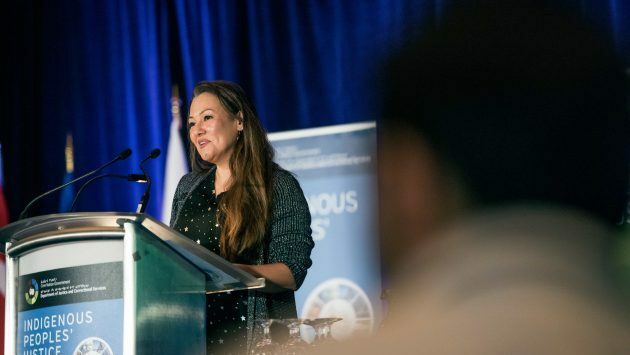 McGregor revealed her sense of humour when she stated that so many Algonquins were marrying Crees that they are starting to say they were All-gone-Cree. Kenneth Gilpin did the opening prayer and preached tolerance saying that it didn’t matter which religion you were as long as you truly worshiped the Creator. Cree Grand Chief Abel Bosum spoke about how the Cree Justice Department worked within the communities to ensure the well-being of all Cree. 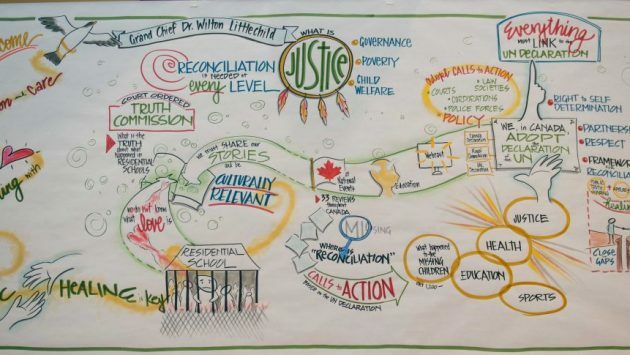 He talked about the Cree and non-Cree partners Justice teamed up with to meet the needs of the Cree in Eeyou Istchee. Among the examples Bosum pointed out were the justice centres, youth prevention programs, and the two Robin’s Nest women shelters. 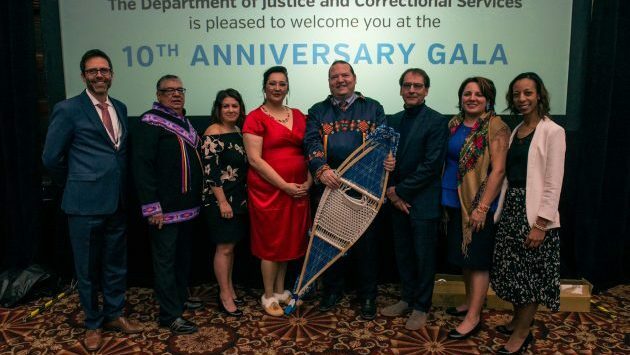 Then he added that the justice department staff was to be honoured for the work they have done to date and the continuation in developing services and programs that will create safer and healthier communities. He hoped that everyone attending the conference would take up that challenge. Dr. Manley Begay was the first Navajo to get a doctorate from Harvard University. As a faculty member of Northern Arizona University and co-director of the Harvard Project on American Indian Economic Development, he was perfect to discuss capacity building. Begay said that in order to succeed you have to know who you are. This means everything from culture, history, traditions and your way of life. Knowing these things about you and your nation will make you strong. You can’t have outsiders make decisions for you or on your behalf. Begay added that infant mortality rates are often used as an indicator of the health and well-being of a nation. 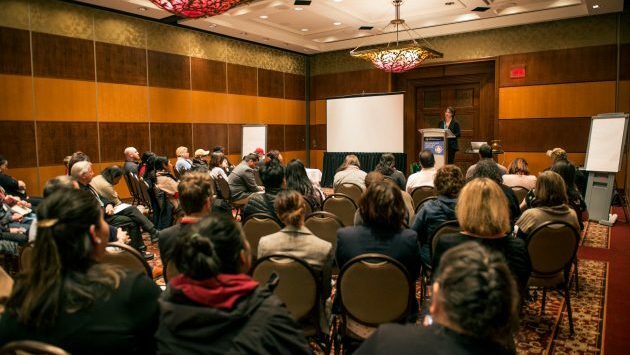 A 2018 Canada-wide study on national health inequalities found that infant mortality rates were 3.9 times higher in areas with a higher concentration Inuit people and 2.3 times higher in areas with more First Nations people. Canada infant mortality rate is 4.5 deaths per 1,000. At 10.35 deaths per 1,000 First Nations, rank 90th in the world. She signaled that there is a birth alert where children are “removed at birth by authorities without previous knowledge of the mother or family. This must end,” Turpel-Laford said. Ontario’s Independent Advisor on Corrections Reform Howard Sapers was brutally honest. He talked about Adam Capay’s more than four years in solitary confinement. A four-person First Nation Elders Council was created to visit prisons but cannot currently meet due a general travel ban since the Ontario’s June 2018 election. Sapers was concerned that the “prison population is growing even though the crime rate is lower” than in the past. Pash felt education was part of the problem and solution. Justice Director Don Nicholls said, “It was a team effort to create the justice system that reflects our way of life and that the Cree enjoy today. It is something that will continue to grow. We anticipate greater participation and roles throughout the community in the present and the future.” Adding, “I remember a philosophy law professor told me when I entered law school, going to law school doesn’t mean you have to practice law but those who understand the system and how it works in this country have the ability to make great changes.” Nicholls hoped what people have learned from the conference would help them on their journey. The conference was not advertised but after a few invitations to key people and organizations were sent out the grapevine did the rest. Many people began calling and saying they wanted to or would attend. Those who did, encouraged Nicholls to hold another one. The Cree Justice Department is still receiving calls from people and organizations. Rumour has it that the next one will take place in February 2020. Early next year videos of some of the panels and workshops will be available on the www.creejustice.ca website.